Along with 10CC, Wings were one of the great singles’ acts of the 1970’s but what of their albums? 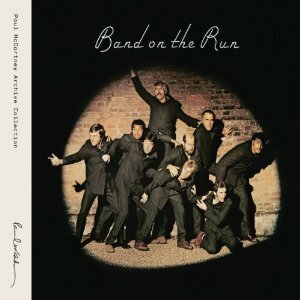 ‘Band On The Run’ is usually perceived as the classic example of Paul McCartney’s post-Beatles career and it now comes reissued with a bonus CD and nearly ninety minutes of DVD footage. “Stuck inside these four walls. Sent inside forever. Never seeing no one, nice again” is the kind of lyric you’d expect from a group isolated in a primtive recording studio in Lagos, Nigeria. Still, this being McCartney, ‘Band On The Run’ brightens up dramatically and effectively offers at least three great songs for the price of one. The great form continues with ‘Jet’ – inevitably linked by some to (BBC comedy creation) Alan Partridge’s “tribute” in a Travel tavern – but the song is a peerless slice of power pop. 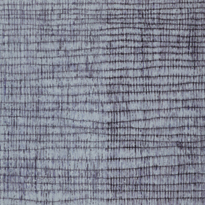 Then we have the lovely, acoustic simplicity of ‘Bluebird’. After that, the record may be a bit more hit and miss than others will care to remember. ‘Let Me Roll It’ operates in the middle ground between Alvin Stardust and John Lennon’s ‘Cold Turkey’. ‘Mamunia’ is a pleasant little ditty full of joyous harmonies but ‘Picasso’s Last Words’ is a drinking song made marginally more interesting by segments from the first two tracks on the album. In fairness, though, the fiery, piano-led ‘Nineteen Hundred And Eighty Five’ draws the album to a rousing close. ‘Band On The Run’ is viewed by many as the quintessential Wings album but it is undeniably front-loaded and not the most cohesive record in the world. The bonus CD of spirited but superfluous session tracks is recommended for devotees only but at least includes the US single ‘Helen Wheels’. However, the DVD is definitely worth watching for the imaginative promos for ‘Band On The Run’ and ‘Mamunia’ plus a behind the scenes look at how the album cover was made featuring Christopher Lee, Michael Parkinson and the frightening stares of Clement Freud. Given his prolific output, you could say that Umair Chaudry doesn’t get out much. This is an impression that would be emphasised even further on hearing the deathly gloom of albums released under his Abandon and Monday Morning Sun projects. By these standards, Fault Finders is Chaudry and bandmate Marco Ruggiero in relatively chipper mood as their music takes on an electronic influence. ‘Stay The Same’ is about as pop as Chaudry gets. It features languid, jangly guitar melody and vocal (dis)harmonies not a million miles away from early Depeche Mode whilst ‘I Don’t Blame You’ adds layers of effects to demonstrate the shoegaze influences but beneath the noise there’s an essence of hope. ‘Expectation’ – featuring an excellent cameo appearance from guest vocalist Nick Hudson – is reminiscent of the hugely underrated Breathless. Finally, the drone and grind on ‘Tribes’ guides us to the end of the EP but even this is tempered by a sweet female vocal. If there is a way to introduce Chaudry’s music to the unconverted then Fault Finders provides the most accessible route. The music is undeniably dark but the emphasis is placed as much on tunes as it is on atmosphere and miserablism. According to his bio, James Brewster is a “sound-explorer”, whose interests include dense digital processing, spontaneous collaboration and cryptically evocative lyrics amongst others. This may sound a little pretentious but it’s also accurate. Yet above all, Brewster is a musician and a fine one too, as he evidenced on past releases under the name of Mole Harness. This first record using own name is arguably his most melodic. Brewster enlists a great variety of vocal talent throughout the record. Men Diamler contributes his weighty Brendan Perry-isms on the grand ‘Vel Kvonen’, whilst the considerably sweeter tones of Albanian opera singer Egzona Gervalla circle around the twinkling, hypnotic ‘Vraikan Sundan’. ‘Landfall’ is heavy with field recordings and seems to meander rather aimlessly until Brewster’s own haunted turn in front of the mic creates a stunning counterpoint. This track segues in to the beginning of the second “half”, which is noticeably more tuneful than the first. For ‘Crumbling Spires’, Brewster’s narration combines brilliantly with Daniel Goody’s singing; its rustic hip-hop feel is reminiscent of Hood at their best. ‘Wingbeat Fission’ is to be released as a single and it seems to be the obvious choice given its summery, jangly Epic45-style atmosphere and the mesmeric harmonies for the superb, extended chorus. With nods to cosmopolitan influences, Brewster has expanded his oeuvre outside the ambient/electronica genre still further. Yet the record also serves to prove that Brewster is now just as concerned with creating great songs as much as he is to satisfy his thirst for experimentalism. Somehow greater fame has eluded Tahiti 80 so far despite the effervesence of 2006’s ‘Fosbury’. Where French indie pop is concerned, their thunder has arguably been stolen by Phoenix but now they have returned from a brief lay-off to demonstrate that their music is as fresh as ever. Tahiti 80 are sensitive souls at heart and frontman Xavier Boyer is capable of relaying soul and tenderness with his sweetly-toned vocals. To balance this his bandmates are a tight unit, who lay down rock-solid rhythms. Opener ‘Defender’ rides along a Krautrock riff but the double header of’Gate 33′ and ‘Solitary Bizness’ is the first time on the album where the group take flight. Based on throbbing rhythms, shiny synths and Boyer’s lighter than air vocals, the songs segue between compelling grooves and addictive modern choruses. ‘Want Some’ boasts some unashamedly poppy harmonies whilst ‘Easy’ jangles like The Radio Dept. 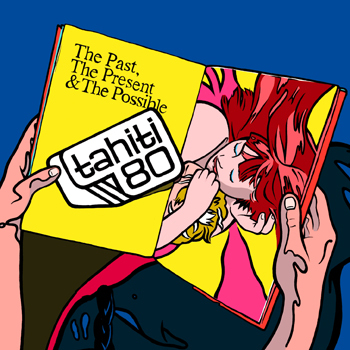 Intriguingly, Tahiti 80 prove they have excellent and somewhat unexpected tastes too. The album title is a reference to Peter Saville’s ground-breaking artwork for Factory Records and how many bands would cover an A.R. Kane track? In this case, it’s the original dreampoppers’ ‘Crack Up’ and Tahiti 80’s version fizzles with typical energy. Flaws are hard to locate but the ambitious title track tries a little too hard to be a song suite. However, such excesses are forgiven as ‘Nightmares’ takes over and – contrary to its title – it boasts the dreamiest of melodies and glorious harmonies. It’s hard to believe the group have been making music together for nearly 20 years. For the ideas, energy, emotions and tunes are all dovetailed here in to one glorious whole, making the uninitiated wonder: who are this exciting new band?. 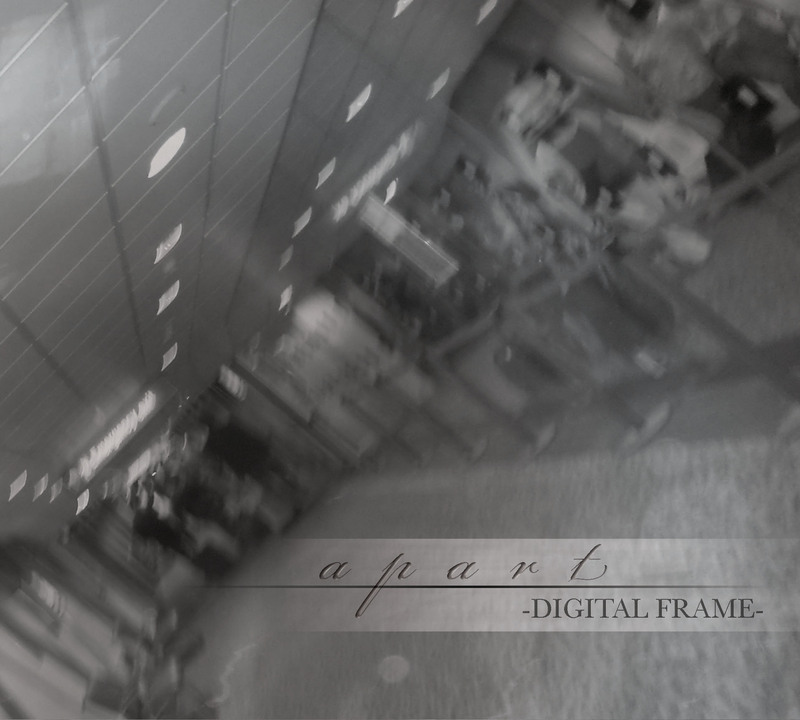 Apart is a solo vehicle for Italian Francis M. Gri and is also one of the projects he has helmed for his own KrysaliSound record label. The ambient, classical scene has been well populated in recent years but Gri has a gift for augmenting his music with the sweetest and most yearning of melodies. ‘Airport Breath’ sounds special as soon as a haunting piano motif is added to the swirling atmospheric loop. The piano/shoegaze theme is brought further to life with ‘Gate 12’, only this time glitchy beats are added for good measure. Vocals are few and far between but when Lilium’s lighter than air contributions are added to the Kraftwerk-esque melodies of ‘New Day’, the effect is gentle and soothing. Equally important is the three part ‘Leith’ suite, which employs the same dreamy guitar techniques favoured by July Skies. Stylistically, ‘Digital Frame’ should be placed next to Boy Is Fiction, with whom Gri shares the same dreamlike classical/electronica sensibilities. At times, it can sound a little too nice and sumptuous but it’s layered with such exquisite melody, it’s hard not to be seduced and carried along for the ride. 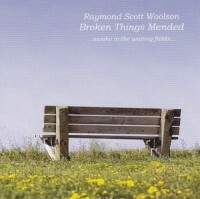 I was first introduced to the music of Raymond Scott Woolson through his 2005 compilation ‘Accidental Grace Notes’. Like M83, Woolson is a great lover of dreampop AKA the wall of sound or even “shoegaze soundscapes” as his label describes it. So if its skyscraping guitar-led escapism you’re after, ‘Broken Things Mended’ fulfils that need. ‘Broken Things Mended’ is noteworthy for its fantastically-titled tracks which summon up all kinds of images of artists from the heyday of the 4AD Record Label. Fulfilling its promise, ‘Future Self-Portraits’ is a sugar rush of an opener whilst ‘The Vision Maker’ balances ambient music with the sounds of thunder; brilliantly it sounds like a lost insrumental from mid-80s period Cocteau Twins. Better still, ‘Bring Your Whirlwinds With You’ shows an understanding of the intricate guitar work and euphoria The Workhouse conjured up. On a near seventy minute album though, there’s a fair amount of aural nothingness. ‘When I Am Lifted Up’ is warm and gentle but ‘Awake O Sleeper In Your Waiting Fields’ drifts along, hook-free for seven unremarkable minutes. This leads to a brief lull in the record as Woolson seems to be treading all too familiar ground but the album regains its edge when ‘The Kite Flyers’ Reunion’ enters the fray with its windswept waves of gorgeousness. It’s then left to ‘White Founts Falling In The Courts Of The Sun’ to generate just the right level of melancholy and melodrama to end the record. Occasionally Woolson comes across as a tired pastiche act but at his best he absolutely nails it; bringing shoegaze fans to their knees with a killer key change. With a new release to follow later in the year, fans will wait with bated breath for the next set of fabulously-named instrumental tunes. 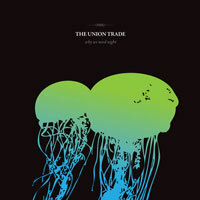 After a highly promising EP, San Francisco’s The Union Trade rather lost their way with an uneven long player to follow it up. So perhaps making their next release on a shorter format again will pay dividends. The title tracks begins with a crescendo of guitar effects and crashing piano chords. Then the song settles down to a sedate pace to allow Nate Munger’s yearning rock vocal time to make itself heard. It doesn’t take long for the noise to come back though, except now it has more emotional resonance than before. ‘Headlands’ is subtle until its eventual coda; Munger’s lived-in tones adding a comforting warmth and familiarity that is rare to find on post-rock records. Of the remainder, ‘Hawk Vs. Crow’ threatens to break into Hope Of The States’ ‘Black Dollar Bills’ but settles down and decides to be an instrumental instead and then it’s left to ‘This Is What Happens’ and ‘Aurelia’ to take you on an epic, widescreen rock journey. Both songs have an undeniable (but also acceptable) feel of the 1980’s about them; the latter even features a cheesy synth solo for good measure. By emphasising the songs rather than their post rock credentials, The Union Trade have gone down the opposite route to where they were heading on their album. It’s probably a good move too and they have also retained the crucial ability to create cinematic atmospheres.